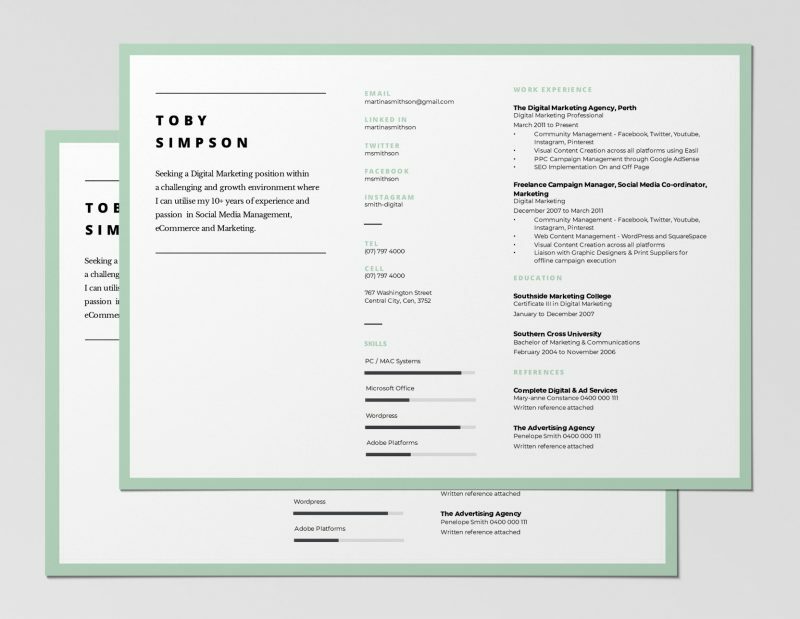 If you want a job-winning resume, then these 12 Best Free Resume Templates will help you land your dream position. 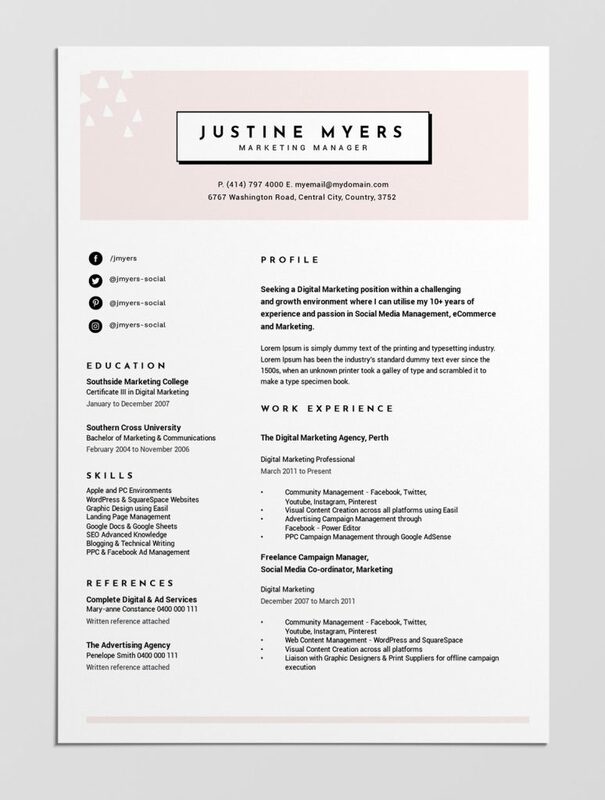 Use our fully-editable templates + tips for a stand-out resume that will impress employers and recruiters this year. 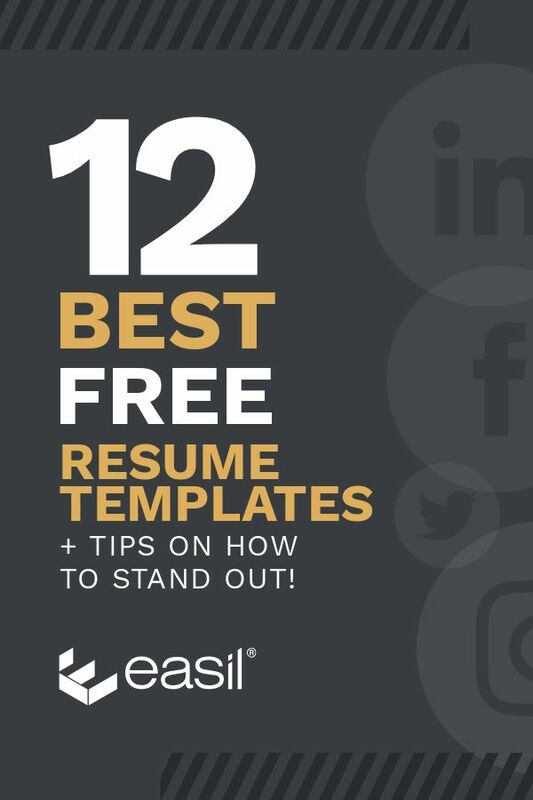 They say you only have one chance to make a first impression, so at Easil we want to take the challenge out of building a resume that catches attention. Put simply, we’d like you to spend less time designing your resume and more time prepping for that all important job interview that you’re going to get! That’s where our Free Resume Templates come in. When you use one of Easil’s Free Editable Resume Templates you can customise your Resume in just a few clicks. Our Templates also make it easy to update your resume any time you need it. This makes it easy to tailor your resume for specific career opportunities you are applying for. If you stick to the tips below and use our Free Resume Templates… you’ll have a job-winning combination! So, let’s take a look at some resume template basics. ensure that all body fonts, heading and sub-heading fonts are easy-to-read. Why does all this matter? Because – Research by Ladders has shown that Recruiters spend on average of 6 seconds reviewing a resume before they make the ‘fit/no fit decision’. That’s not very long! So it’s important that the resume is easily scannable and the most relevant information is prioritzed, like skills and experience. Also consider the industry and position. If you are applying for a marketing company or startup company that likely thinks outside of the box, then you might want to add some personality to your resume and use a modern style. Conversely, a position at a traditional Bank might call for a more classic style. 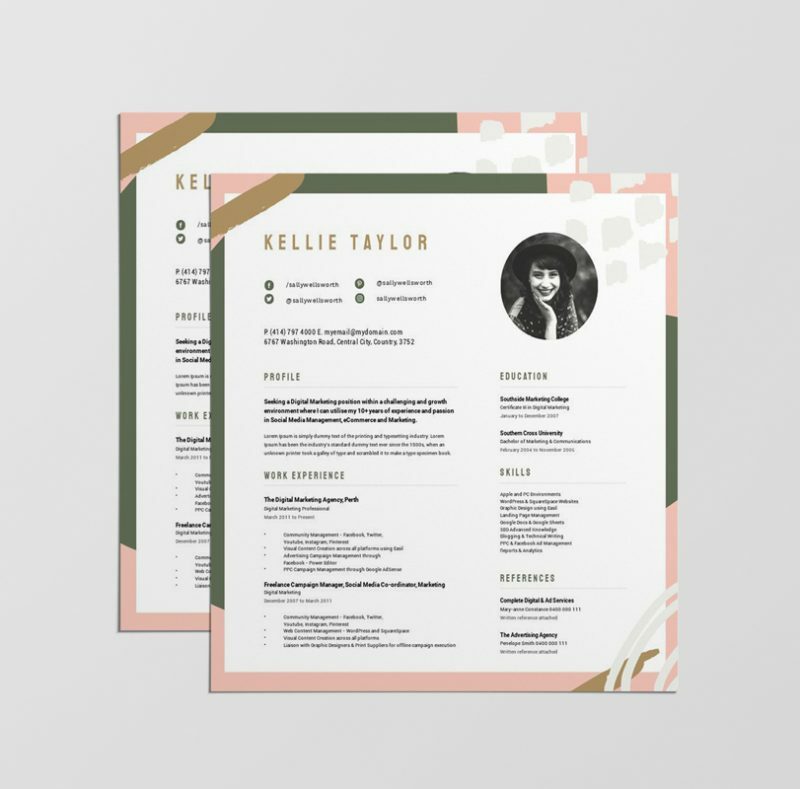 Modern resume templates often feature duotone colors to section off key personal information with the body of the resume, and highlight sections for work experience, education, skills & experience, as well as listing your referees. Easil’s resume templates take all of these ‘current best practices’ into account. Our templates are formatted using our unique tables feature, where you can drag and drop a combination of rows to easily build your resume. This makes it extremely easy to update your resume template in the future. 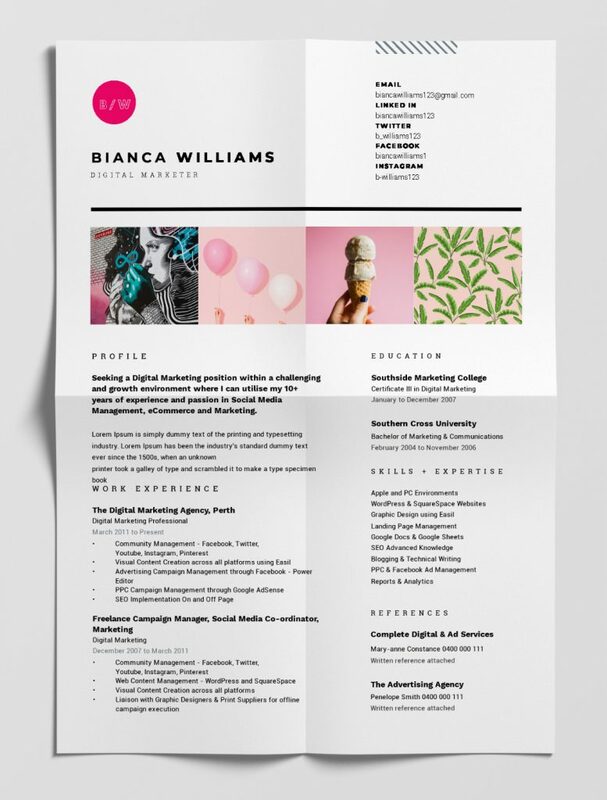 Now that we’ve established why it’s important to stand out with a stunning resume, let’s jump in to see our templates in action. 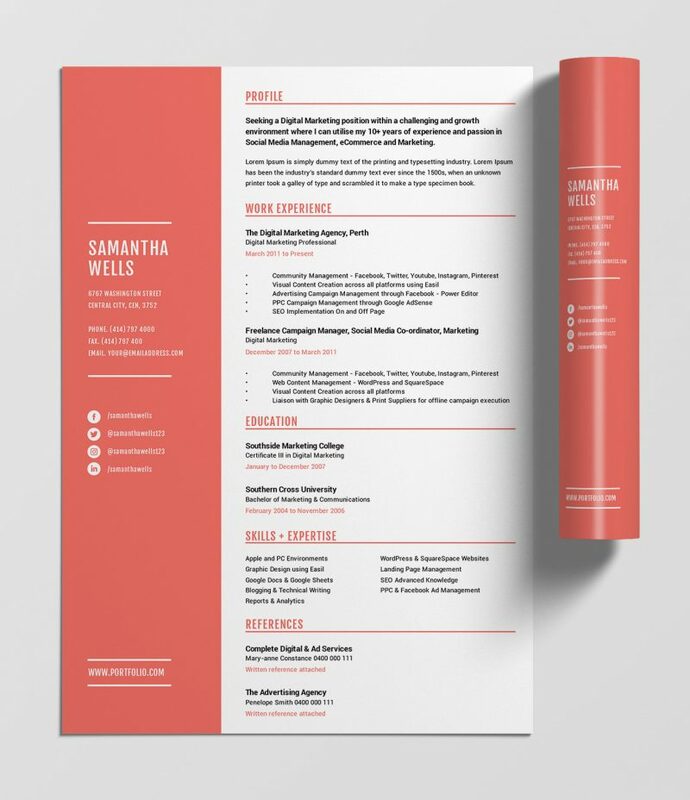 Stand out with this professional resume template, including a feature pop of color in Pantone’s 2019 Color of the Year; Living Coral. A quick and easy way to give yourself a professional look on your resume is by creating a simple monogram or logotype. This template features a rectangular emblem placeholder that you can customise with your name and expertise, and can be carried across to your cover letter and supporting documents. Whilst it’s best practice to keep your information brief and to the point, sometimes you will need more than one page. Download your finished resume as a PDF file and your potential employer or client will be able to quickly click through the pages. It can be a smart move to stand out with a little personality on your resume – depending on the type of industry and position. Marketing, Creative Positions and Startups are the types of companies/industries that look for out-of-the-box thinking. It may be relevant for you to include a professional headshot on your Resume, like in this resume template. Just be sure to check the expectations of the industry and country you are applying in – it’s a controversial option that many recruiters can’t even agree on. Some regions or countries prefer headshots and others don’t. These are some helpful tips that will help you decide if a photo is relevant, and this post shares tips to help you know when you might want to include a photo in your resume. 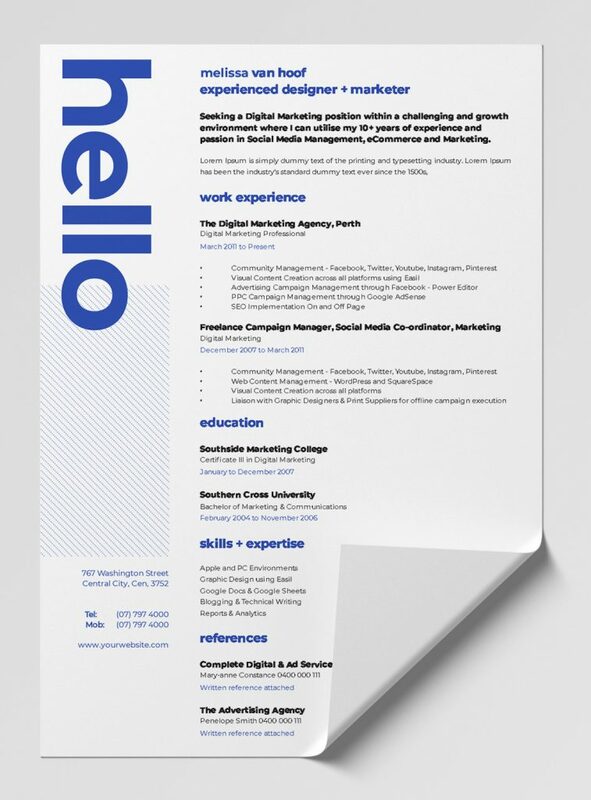 A simple design element paired with an easy-to-ready, well laid out resume can lift the final document, adding an element of professionalism. This Easil template allows you to simply slide the bar graph elements to the position that best describes your skill level. Adding visual representation of your skills in this way can leave a powerful and positive first impression. If you work in any type of creative industry, then it can be a wise move to do something bold and eye-catching with your design. 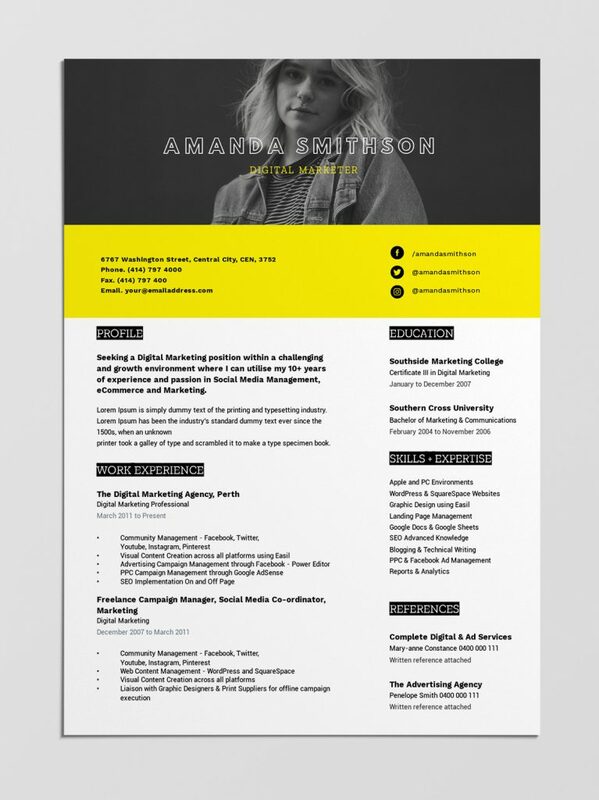 This resume template includes a bold border, to do just that! A slight change in orientation can be the thing that makes your resume stand out to a recruiter. 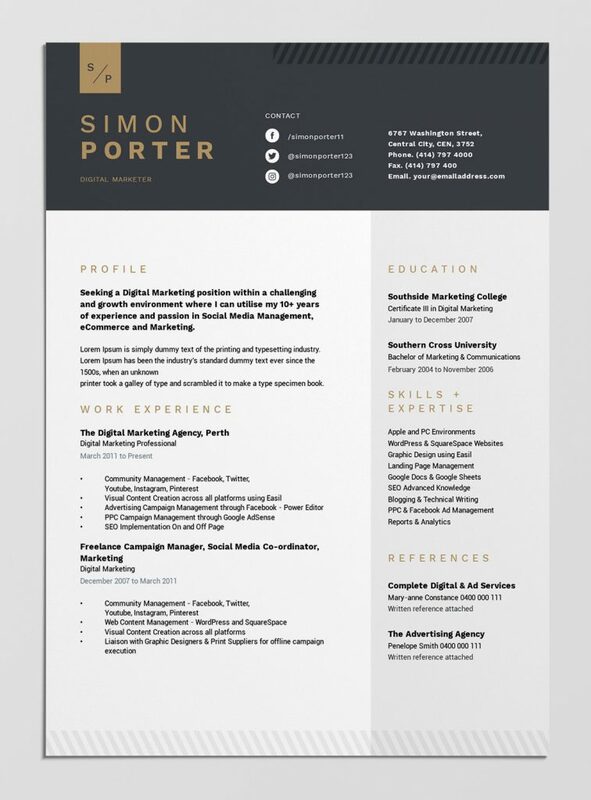 Using landscape orientation in this way, results in a well laid out resume that catches attention, yet still highlights white space making it easy to scan and read. 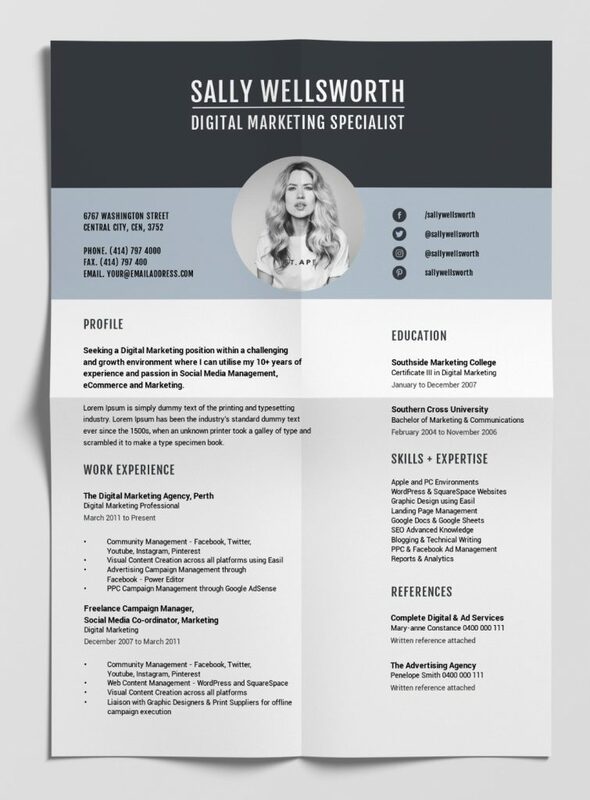 If it suits your industry (see #5 above), a full width photo banner can be a powerful way to create interest and draw the eye into your resume content. Why stick to landscape and portrait? If the position you are apply for calls for creative thinking then … go square. Using a unique size for your resume says a lot about you. Done well, this can be a powerful way to catch attention. 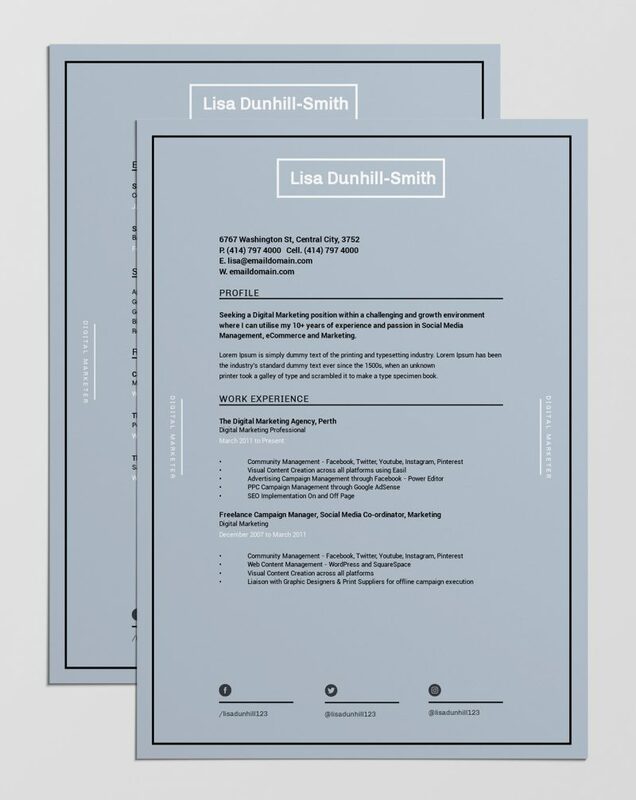 This free resume template includes 4 image zones to showcase imagery of completed projects. Use this style to share case studies and examples in a way that highlights the unique value you will bring to a position or team. Here are a few final Hot Tips for successfully editing and updating our free resume templates. If you use these tips, you’ll be more likely to create an eye-catching job-winning resume… and be able to update it easily when you need to. Understand the difference between a Resume and a CV (Curriculum Vitae). A Resume is designed to be focused and concise. It’s a brief written summary of your personal, educational and professional experience specific to the job you are apply for. Aim for 1 page maximum, up to 3 pages for a senior role. A CV tends to be a detailed chronological account used when you are changing career or applying for an industry you have not worked in before. Choose the best type of Resume that suits your personality and background. Historically Resumes were always reverse-chronological format where the focus is on your work history and items are listed from most recent to oldest. However these days, many resumes have a combination of chronological and also skills-based formats. This works well if you have diverse skills and experience that you want to highlight, especially if changing careers or if you have had employment gaps in your work history. Focus on making your resume easy-to-read, above all else. Use bullet points or short sentences, paired with headings and sub-headings so that it can be scanned easily. Use an online PDF editor – Using an editor such as CombinePDF to bring together all of your individual PDF files into a single document. This includes reference letters and certifications, with your resume positioned at the start. Send your resume and cover letter as a PDF – this will ensure that the person reading on the other end will view it the same as you have formatted it – unlike Word or other types of word processing applications. Sending it as a PDF, means that it can be viewed on any device. Don’t risk formatting issues at the other end! Check, check and check again! In this age of technology, there really are no excuses to have typos or grammatical errors in your resume. Use an online grammar checker, ask for someone else to read and edit, and then double check again. 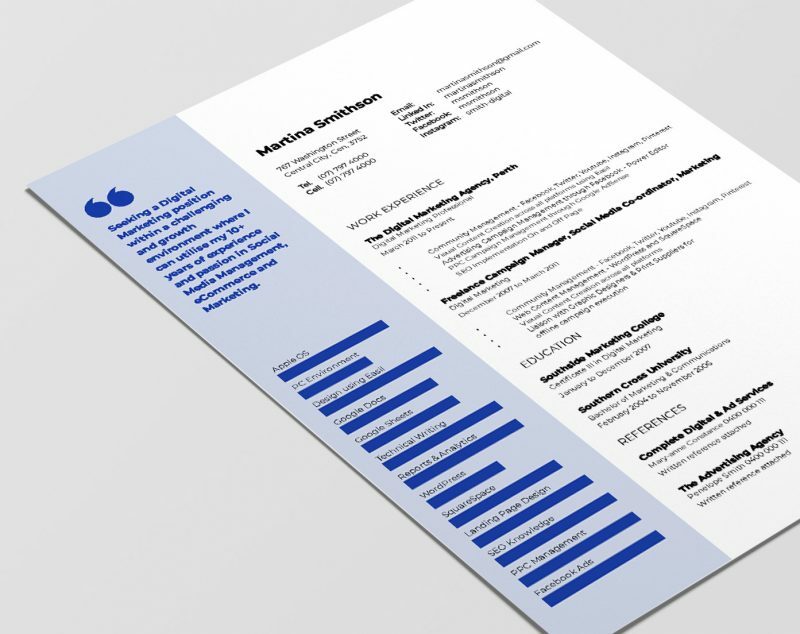 Are you ready to make a lasting impression with our Free Resume Templates? 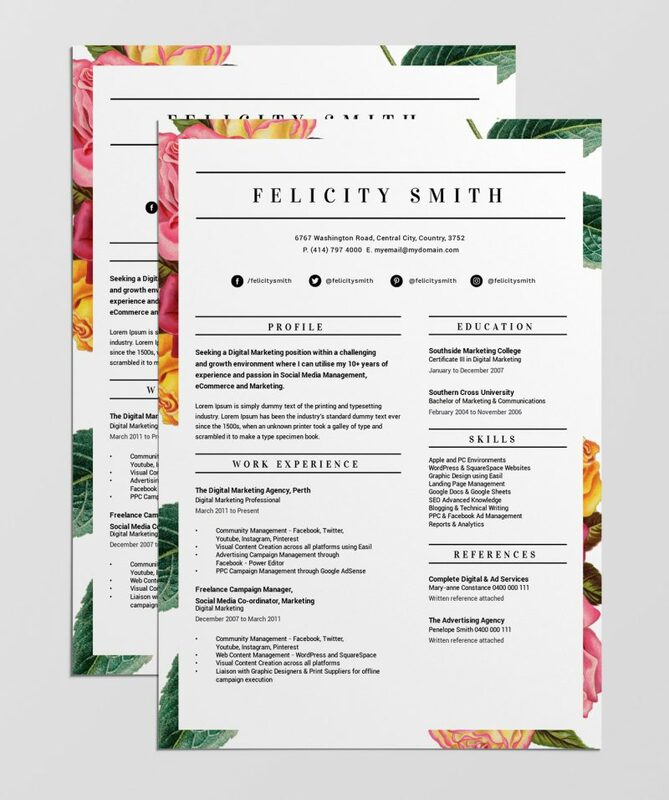 What tip do you have for creating a resume that stands out? Tell us in the comments!